I can’t believe that it is almost October! This first month of school has absolutely flown by! We have been learning a lot this week! Here is a brief peek into what we have done this week. Math ~ We are wrapping up our first unit. We have worked on making estimates, rounding numbers, comparing numbers, adding large numbers, subtracting large numbers, solving multi-step problems and comparing numbers. We will have a test next week. A great way to have your child review is to have them use Splash Math ~ Number Sense and the Chicken Vault app. Writing ~ We created the characters for our stories and we drew out a story arc to map the scenes in our stories. 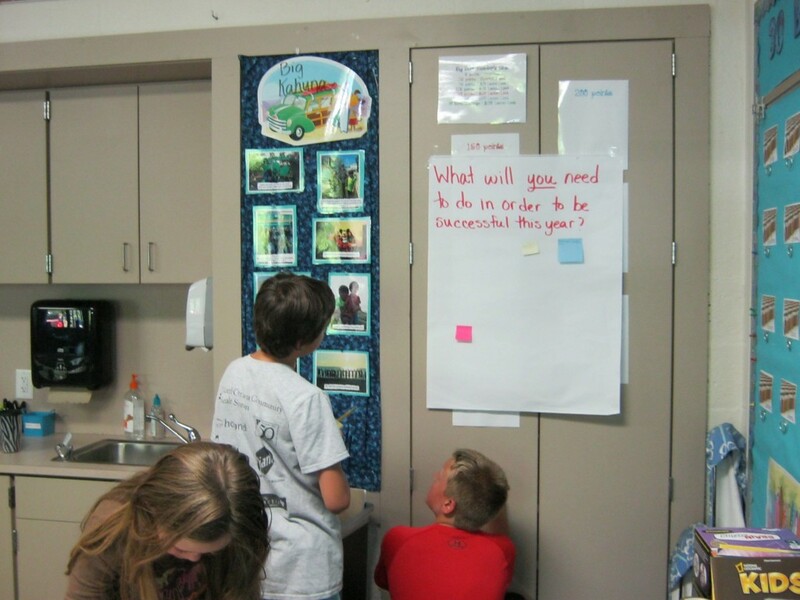 We will begin drafting our Realistic Fiction stories next week. 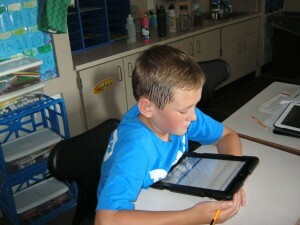 Students also updated their Kidblogs, today we learned how to add a photo! Check out your child’s take on the week! Reading ~ This week we have begun writing in our Reading Response journals. Each student reads 3-4 pages and then stops and writes about what they are thinking. This should help push us to think deeper about what we are reading. Science ~ We had a great time visiting the planetarium at White Pines School. We have learned about the phases of the moon and what causes them. We have learned why we have seasons (the 23 degree tilt of the earth on its axis) and why the seasons are opposite between the Northern and Southern Hemispheres. We will be learning more about the phases of the moon next week! Thank you to all of the families who donated Oreo cookies for this project! We have plenty of cookies now! A short video of our planetarium field trip. Don’t Forget the CANS and COSTUMES donation drive is this week (9/23-27)! The PEDT is also having a returnable can drive this week! Bring your returnables in, the class that collects the most wins a special Fall treat! Thanks in advance for supporting this RECYCLING effort! Great news! We all survived the first full week of school, and what a great week it was! In math we have been working on rounding and adding larger numbers, evening up to 1 million! You can help your child practice reading larger numbers. for extra help with these concepts have your child use the Splash Math app on their iPad. They should select practice and work in the number sense chapter. In reading workshop this week hew have discussed reading our books like they are gold and not reading like a curmudgeon. Ask your child to show you what this would sound like. We also discussed that we have to choose books that matter to us and guard against reading on auto pilot. We need to sit up and take notice, letting the text affect us. In writing we are working on creating ideas for a realistic fiction story. 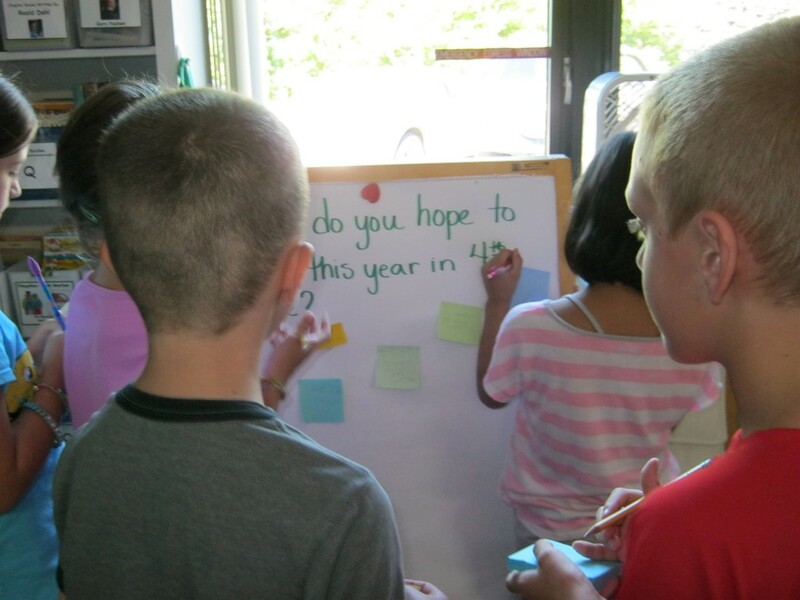 We used events from our own lives to generate ideas and we thought about stories that we wished existed in the world, books we would like to find in the library. Monday we will be choosing an idea that contains an issue that they are familiar with, getting lost, being afraid of the dark or losing a pet to name a few. 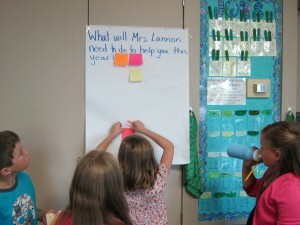 Students will also learn how to develop a character as part of the planning process. In Science this week we learned about what makes day and night and we learned about the phases of the moon and what causes them. Tonight’s moon is a full moon! Remember to check out your child’s blog! The forms for selling Janie’s Cookie dough went home today. If you have any questions, please email me. All orders need to be in by October 4. If you are paid in full but are still willing to sell the help the class out, please let me know. Picture Day is Tuesday, September 24, and we are also going to the planetarium at White Pines Middle School on Tuesday. Our pictures will be taken before our field trip. Conference forms are also due. We have had another great week in room 16! My students continue to amaze me with all that they know, their eagerness to learn and how quickly they are adapting to the iPad! In Math we have been reviewing place value, we have rounded numbers to the nearest ten, hundred and thousand! We have also written numbers in expanded notation (100+40+3), standard form (143) and word form (one hundred forty-three). We reviewed the use of the comma in writing numbers and learned how to write and say numbers in the millions! For further practice with these skills encourage your child to use the Splash Math app on their ipad. They should be working on the number sense chapter in the practice area. They know how to get there, ask your child to show you what they can do! 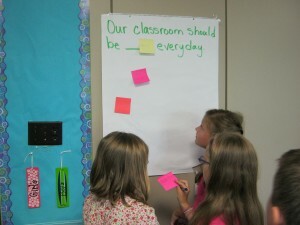 Writing~ We took some baseline assessments by having students write to a different prompt each day. Day 1 was a Narrative, Day 2 was an Opinion and Day 3 was an All About. These will be used to help individualize instruction for all students in writing. Reading ~ We are working on increasing our reading stamina (reading faster, longer and stronger…with expression!) and reading “Just Right” books. We have discussed the importance of selecting just right books and and how to actually do it. Science ~ We have started our View from the Earth Unit. We have looked at weather words and have begun to record the weather at school. We are also talking about the moon. we have tried to make a moon observation, but it has been too cloudy at moon rise. Check out the moon phase link on the right side of the blog! 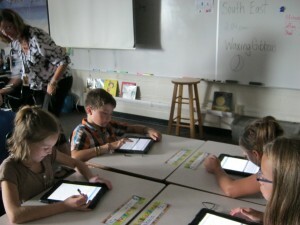 Ipads ~ We are still getting acquainted with our ipads and all the tools/apps we have available on them. Encourage your child to explore the apps that are loaded on there. There are a lot of great learning games! Remember you have the final say over screen time. If you are allowing your child to explore on the internet using wifi, please monitor what they are viewing, make sure they are only using the internet when an adult is in the room. Our firewalls and filters only work when they are on the school wifi, at home your firewalls and filters are in effect. Check us out! We are BLOGGERS! Have a fantastic four day weekend! 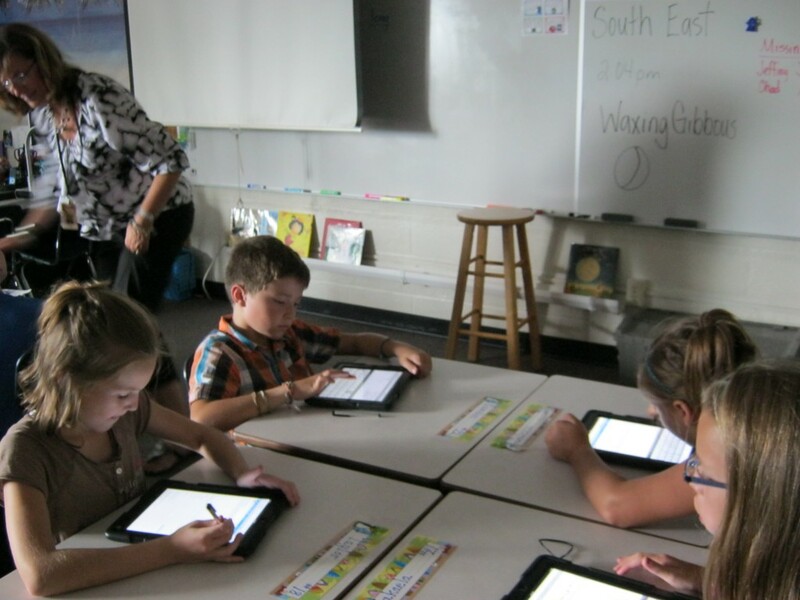 Planners and IPads and Homework…oh my! Our planners gave finally arrived! Just in time for our first week of “real” homework. Please be sure to check your child’s planner every night. Once they complete their homework, sign or initial the planner. Reading homework is 20 minutes a night every night of the school week. Friday night’s reading may be done at any time over the weekend. This is REQUIRED homework. Math homework will come home almost every night Mon. – Thurs., we will not have math homework on Friday unless your child neglects to complete his class work or weekly homework. 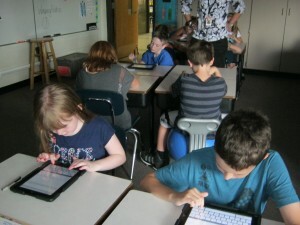 Math homework will be on our iPads. 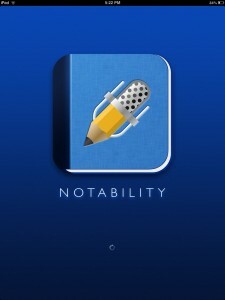 Students are learning how to use the Notability app (see below) to complete their work. Please bear with them as the master this app. I know that it may be confusing and even a little frustrating at first, but rest assured they will be experts in no time at all. We will go over math homework each morning in math class. Spelling word lists will come home on Monday, these will have the five new words that your child needs to learn. Spelling homework will typically come home on Tuesday and will be due on Friday. This gives students time to complete it when it fits in their schedule. This is the app we use for homework. Click on it to find HW pages. What a fabulous week we had in room 16! These children amaze me with what they have already learned! 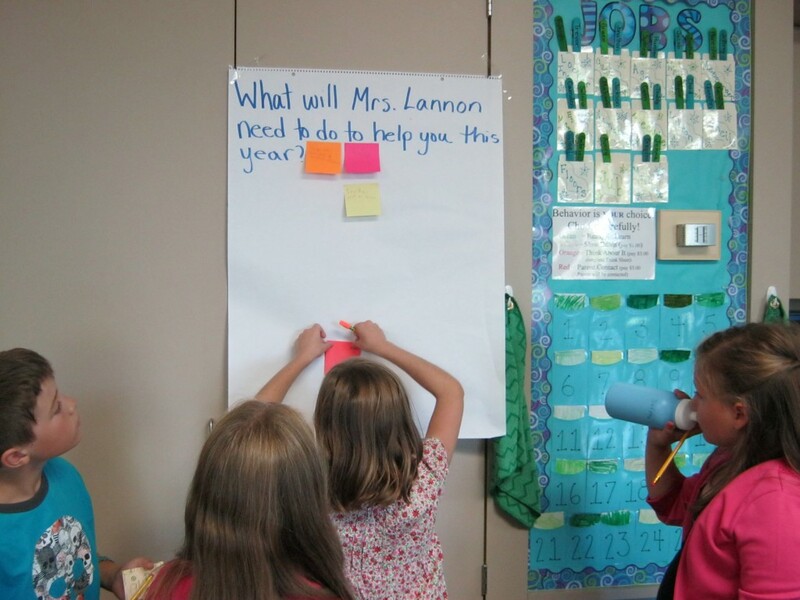 Today, we started blogging. You can check out what your child wrote by clicking on the student blog link on the right hand side of this page. Not only did they learn how to blog, but they learned how to change their lock screen on their iPad, they learned how to download some apps from the cloud and they learned how to save a web page to their homescreen! Amazing! We also took a math placement test on Moby Max. I will be sending home more information about this website in the next week or so. This is a great place for students to brush up on skills they haven’t yet mastered from previous years. This site also teaches new skills for those that need an extra challenge! I am looking forward to sending the iPads home on Monday. Please be sure to have your insurance payment and consent form turned in to the office! We have spent a lot of time this week learning about what makes a good student and a good friend. Ask your child what they learned. Have a great summery weekend! Wow! We sure accomplished a lot today! 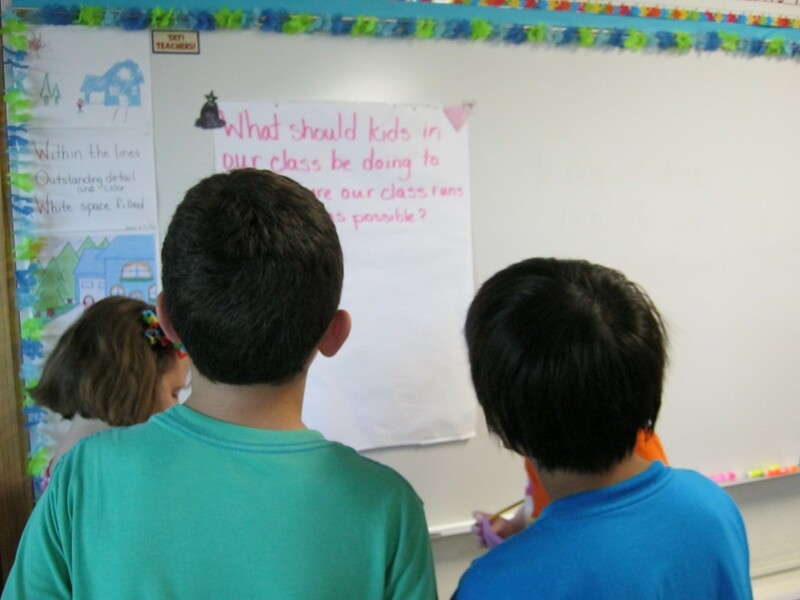 We spent a little time learning about the preamble to the constitution and discussed why it is important to have rules to live by. 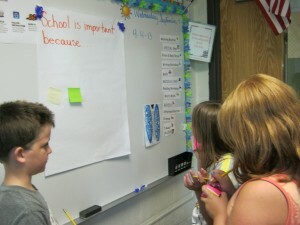 The students then worked in groups to answer six questions that were posted around the room. We then looked at the responses and found commonalities. From this we wrote our very own class constitution together! Look for a photo tomorrow after we all sign the final draft! We also have been talking about what makes a good student and what makes a good friend. We have read the books David Goes to School and The Recess Queen to help us in our discussions. Today we also learned about the 30 Book Challenge and students chose a book to read for independent reading time and for their reading homework. This will be your child’s “Baggie Book.” We are working hard to read books at our “Just Right” reading level. Please watch for more information to come home about the importance of reading “Just Right” books. In fourth grade your child will be required to read 20 minutes a night, five nights a week. They will record their at home reading on their reading logs that will come home with the Baggie Book. On another note, we will have planners. I hope they arrive soon! When our planners come in, they will need to be signed nightly. I am looking forward to seeing everyone’s beautiful smiles tomorrow! Check back tomorrow for photos of our constitution activity. We had a fabulous first day in Fourth Grade! We saw our old friends and met some new ones too! The day just flew by today, but I can already tell that this is an awesome class and we will have a great year! There is one little bit of homework coming home tonight. It is a “Me Bag” that they will need to fill according to the attached directions. Our class set of planners have not yet arrived, I am hoping that they show up this week. Please try to have all forms turned in by Friday! Thank you! Have a great evening and I look forward to seeing everyone’s smiling faces tomorrow.